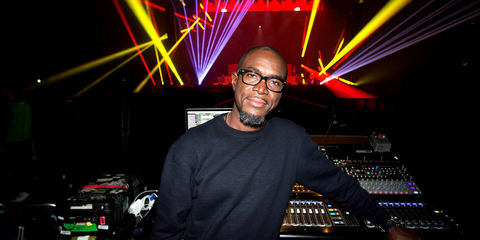 Jamaican-born Dwayne Chin-Quee, better known as Supa Dups, is a record producer, a drummer, a DJ, and a member of the Florida-based sound system Black Chiney. He’s also part of the duo D.A. & the Supa Dups together with former Chester French lead vocalist D.A. 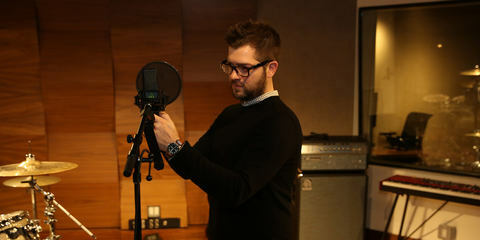 Wallach, and he’s worked with top-shelf dancehall, R&B, and hip hop artists like Rihanna, Mary J. Blige, and Pitbull. 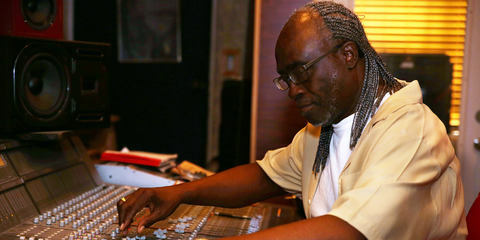 Supa Dups has won three Grammy Awards so far as a producer on albums by Drake, Bruno Mars, and EMINEM. [LEWITT] How did you get started in the recording business? I got started in the recording business based on how I’d already been a DJ for many years. I started DJing when I was 13, working every Friday for the Miami radio station Power 96. That had come about because my brother had convinced a good friend, Phil Jones, to put a 13-year-old on the radio. Phil and everybody were impressed with this 13-year-old that actually knew how to DJ, so he just kept inviting me back on. And I DJed in radio for probably around nine years. But something had always intrigued me about the process of creation, so I started producing when I was 16. My brother had a studio, so I grew up with it around me. That’s how I got into it. [LEWITT] How did you get your first record break? My first record where I got credited was Nina Sky’s Turnin’ Me On. I’d had other records before, but I’d never gotten credit for them. When I started a DJ group named Black Chiney years later, we put out a mix tape – and being that I’d produced stuff before and already knew how to DJ, I started making remixes with the drum machine and putting beats on these mix tapes, and I gave one of these to my manager. There was this new girl group out at that time, Nina Sky, and my manager called up and asked, “Whose track is this?” And I told him that it was mine, and that was literally my first big thing. [LEWITT] So you ended up with a lucky break you created, but how did you create your second and third lucky breaks to get to the point where you are now? 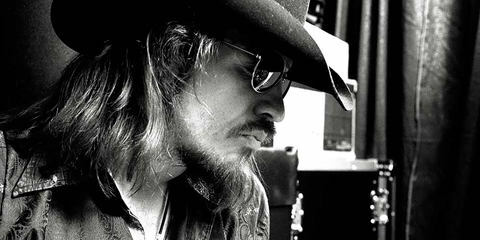 It took a while, then – I knew nothing about the music industry, nothing about publishing. Nina Sky was my lucky break, and I think it was another two years till I got the second break that had any kind of effect, with another song. I’d been working with that kid called Collie Buddz from very early on. He did reggae music, and everyone was pretty fascinated by him because he was a white kid from Bermuda but knew how to speak and sing like an Jamaican. From there, I then worked with Estelle, John Legend, and Sean Paul, and then with Akon, Bruno Mars, Mary J. Blidge, Drake, and EMINEM, and here I am today. Yes! The thing is that, over the years, I’d just learned that you should never complain about the work. So I never complained about the work, and I just did a lot of work to the point where two albums I’d produced – one for Rebelution and one for SOJA – were nominated for a Grammy in the same category, “Best Reggae Album,” competing against each other. It’s actually a good problem to have! Unfortunately nothing won ... but I’d already gotten one Grammy for my work with Bruno Mars, one Grammy for my work with Drake, and I also got one for EMINEM. 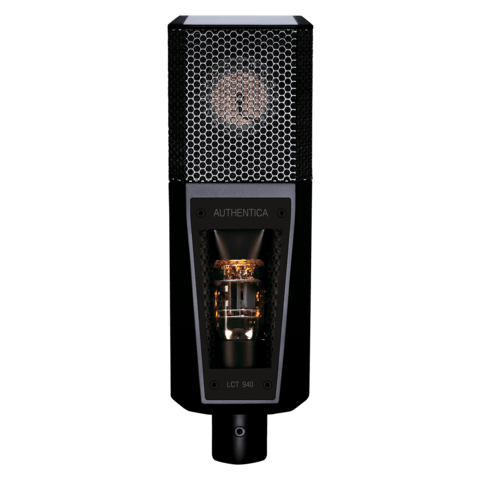 [LEWITT] What can you – as a producer who could use any of the gear that’s out there – tell us about your experiences with LEWITT microphones? 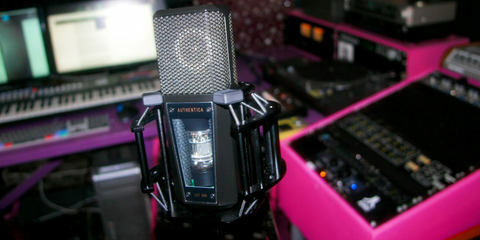 LEWITT produces very reliable microphones; you never get a bad recording out of a LEWITT. 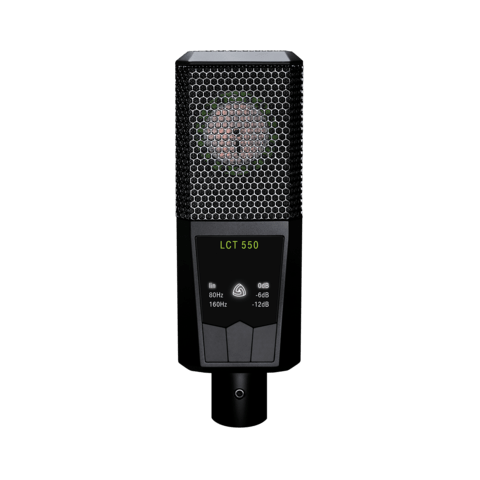 Actually, my favorite mic is the LCT 550, because it has really low self-noise and sounds just damn good on anything you put it on. 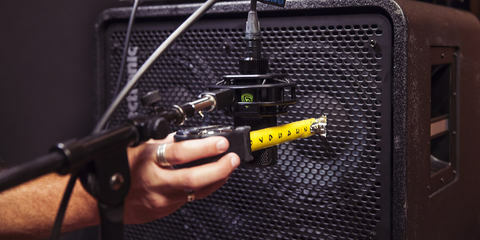 The fact that it can handle literally everything I’ll throw at it is what I like most about the LCT 550: whether it’s guitars or vocals … and it can handle drums, as well. 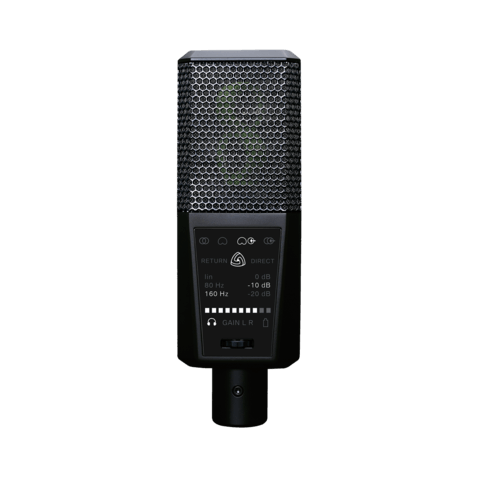 It’s a very neutral mic that reminds me of the AKG 414, but it’s different in a great way since it sounds more modern. It just sounds amazing! Another thing I like about LEWITT is that there’s no compromise in terms of sound quality reflecting what the microphones cost. 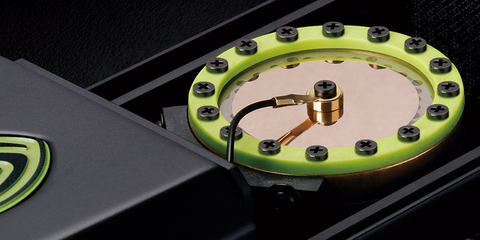 There are lots of other mics out there, but LEWITT is the champion for me. [LEWITT] You were in Spain recently with Shakira; how did you get a gig like that? I got the gig working with Shakira based on the stuff that came out recently that I’d done with Drake. I did two songs with Drake that became quite popular, and that brought me back to Shakira, and then we flew over to Spain and worked there together on her eleventh studio album. It was lovely – she’s a very, very nice person! 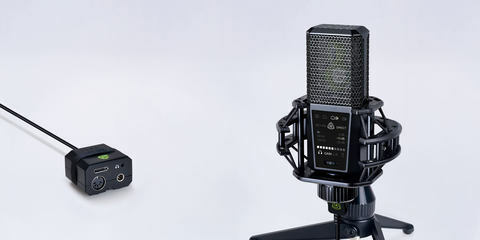 Supa Dups shows in the video how quick and easy it is to produce great recordings with the DGT 650 USB microphone and interface. We're proud to announce that Atlantic Studios NYC is now an official LEWITT endorser! Atlantic Records has been a home of choice to legendary artists such as Aretha Franklin, Ray Charles, Led Zeppelin, Otis Redding, The Rolling Stones, Genesis, Cher, Cream, Rush, Stevie Nicks, Phil Collins, and countless others.